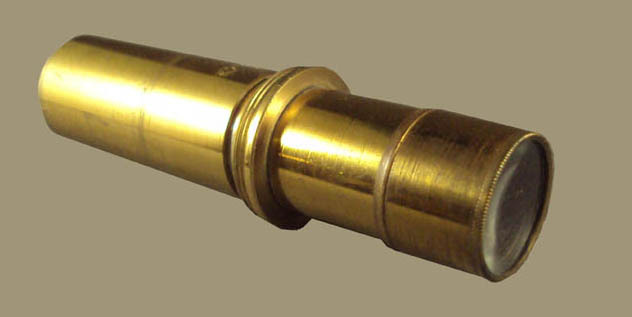 The Erector Lens was an accessory which served to allow the image, usually reversed and backwards in orientation when seen through the microscope, to be seen in the correct orientation. This was of value mainly for dissection under the microscope to allow normal planes of reference for movement of the dissecting tools. Like most examples, this one is designed to screw into the bottom of the draw-tube.